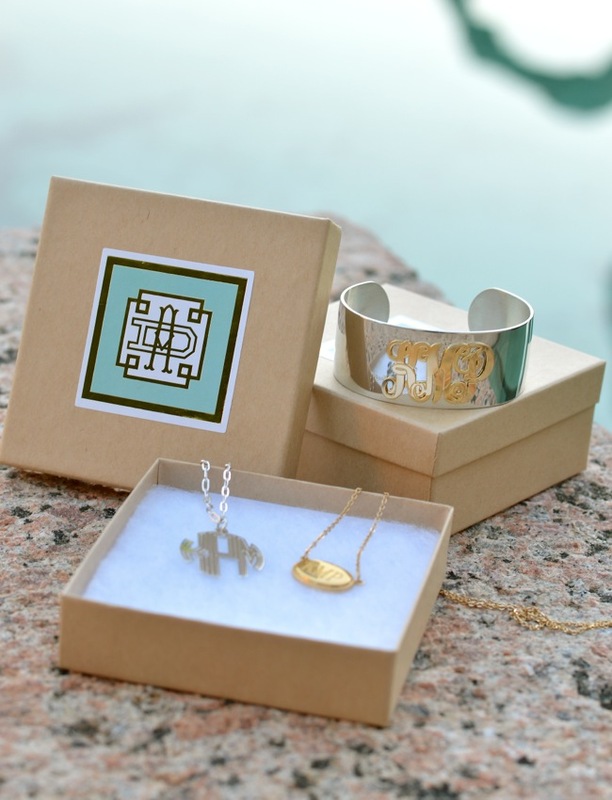 Looking for some classic pieces to add to your jewelry box? You’re in luck, because Audrey Durden is offering Lonestar Southern readers 20% off with the code LONESTAR20 until November 30! The line is surprisingly affordable (my necklace is only $28! ), and will make the cutest stocking stuffers! 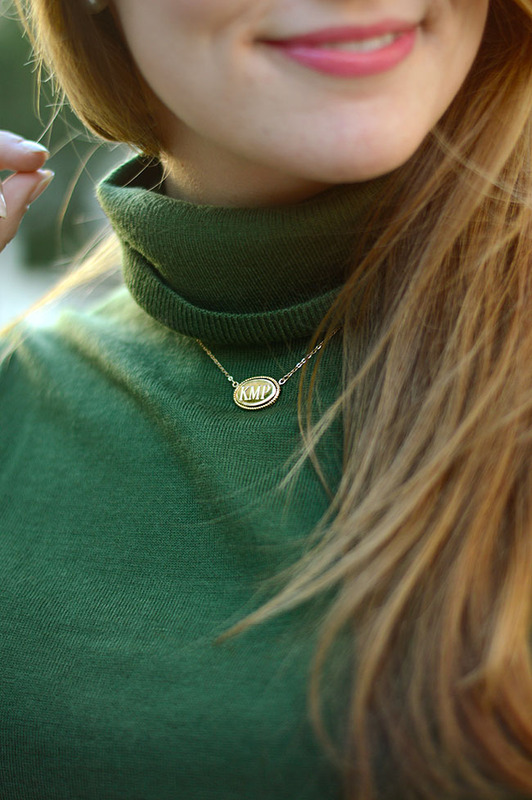 I love all the monogram jewelry! 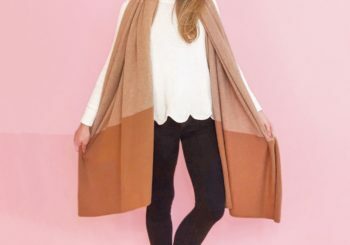 This is definitely a good idea for fall! Cute cute cute interpretation! My horse would slime those pretty white pants in 2 seconds! Real equestrian fashion is getting really stylish these days too, check out Goode Rider brand! 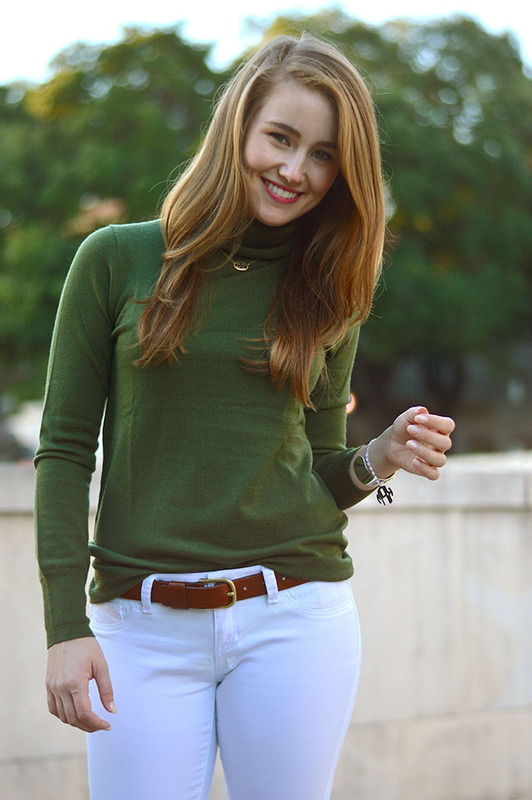 I love the idea of white Jeans in the winter! Love the green with the white! Looks beautiful! Kate – Ioved your outfit so much I had to recreate it! (Or at least draw inspiration from it!) I also did a post on it – check it out if you like! This look is equestrian perfection! 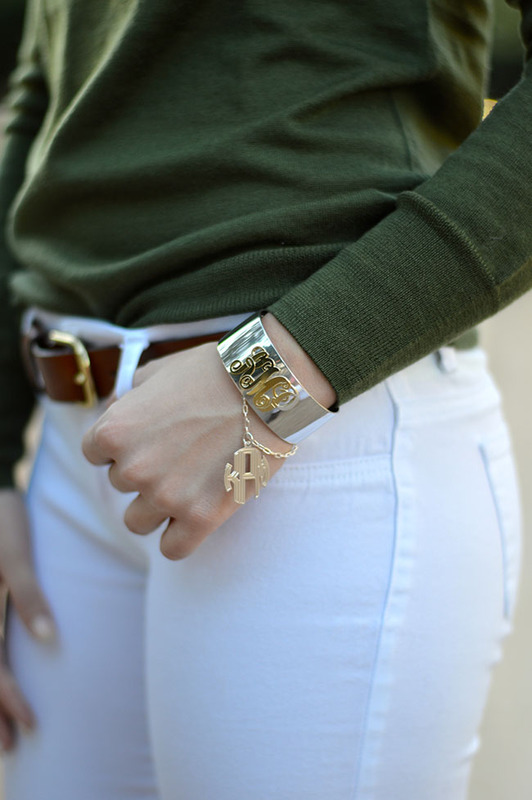 Love it and all the monogrammed goodness!